Paintball in and around Warwickshire is a must with a choice of 3 venues all being premier paintball venues. Firstly there is our Coventry paintball centre located just off the M6 making access to this paintball site in Warwickshire extremely easy. 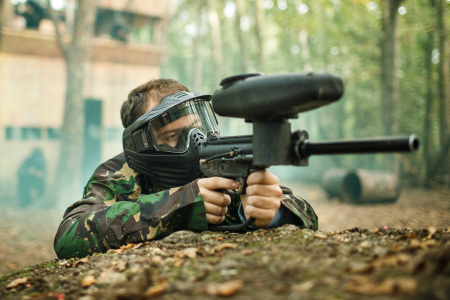 There is also a choice of Redditch and Birmingham paintball centres both offering great Paintballing facilities including a minimum of 4 different paintball game scenarios to keep you on your toes! The county of Warwickshire is a fantastic setting for a great days Paintballing, so gather up the troops and book online today for the best day of paintballing in the area! Swinford Road, Lutterworth, Coventry, Warwickshire, LE17 4HP. Old Park Road, Redditch, Alcester, Worcestershire, B49 5LR.